While smartphones have made us a lot unsocial, there are a few possibilities that we might actually meet new people with the help of smartphones. There are dating apps and social apps in Android which connect us with new random people. Those people are usually nearby. That means if you are able to make friends online, you might end up with someone that you can hang out with. You might already be using apps like Tinder, Badoo and WeChat to talk to random people in your area. If you are not having much luck with them, it is time to try out alternative apps. You must use the app that people around you use to discover new friends. Depending upon where you live in this world, you might need a completely different Android phone application. WeChat seems to be the most popular app in this category. You sign up with your phone number and it allows you to discover the friends that you already have using their phone numbers. You will verify your own number via SMS. This app has an interesting way to help you discover people. You shake your phone and you will be matched with someone nearby. You will also get an approximate value telling how far you are from them. After you make new friends in WeChat there is a whole new social network going on in there. Use your Facebook, Google+ or email to create an account. Make sure you set some nice pictures in your Badoo profile. Then you begin going through profiles of other people. You click the heart or the cross button. If the one that you liked likes you back, then it's a match. You can begin communicating and knowing each other. Tinder is a lot like Badoo. Set up an account, a nice picture or pictures to go with it and you're ready. Like or dislike pictures by clicking the buttons or by swiping in certain directions. If you find a match then begin talking. You can change the settings to make sure that you only meet people who are nearby. You can also set an appropriate age range. This one is also a cool app with socialization features that allows you to find people who are nearby. You will also be shown a map. You can start chatting with random people or find new people. Chatting can begin immediately. You can use emojis or stickers and try video chatting if things progress. Join tagged by signing up using your email or try logging in with Facebook. Then head on to meet new people. You can discover and meet other people who are under a certain kilometer radius. Send messages, share photos and make connections with new people. Add them to your contacts as you make new friends. Hot or Not is photo rating app where you like or unlike a photo. When connections are made, you get to be friends with someone in the app. Once this happens, send messages, chat and become friends. There are user points and scores that will keep you hooked up. Create an account using Facebook, Google Plus or your email. Then access the plethora of features that comes with this dating app. Create a profile and begin finding friends who are nearby. You can add them and send them messages. 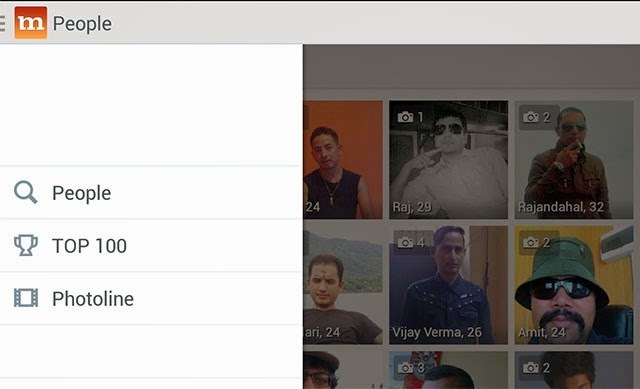 You can also see who visited your profile and how many liked your pictures and profile. 8. Meet24 - fall in love! 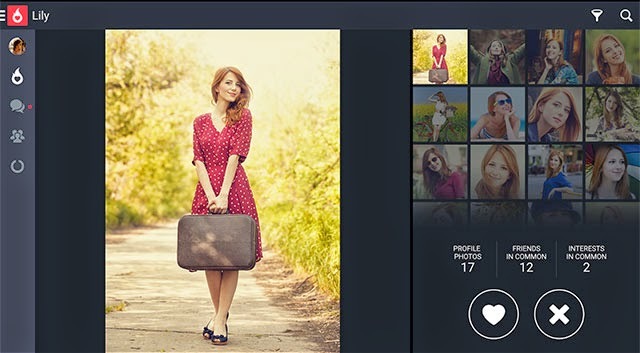 Find profiles of other people, browse through their photos and comment on them. Send virtual gifts and winks. Chat with the ones you like and rate photos. You also have the option of sending video messages. 9. Dating for everyone – Mamba! Mamba is a dating app that you can sign in with one of your several social profiles. With a lot of people using this app, it might finally be the one app where you meet new friends. Meet new people in your area and city. You can see who viewed your profile and you are notified immediately when you receive new messages. By its name, we can tell that this app is obviously targeted towards men. Quickly create an account and try the various features that this application offers for discovering new people. 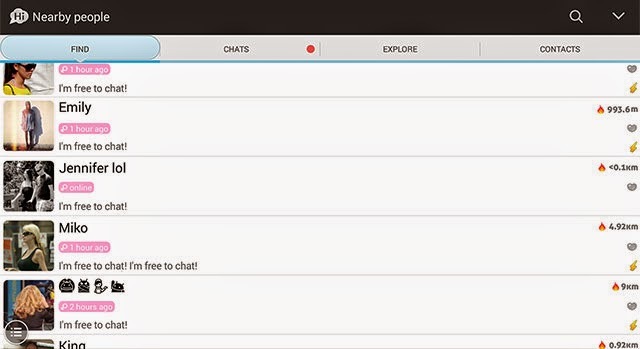 You can chat with people, like/dislike photos and send offline messages. There is a lot of possibility here if you work hard towards making new friends.